If, like me, you are using an iOS device then you already know this. If you are not, this is a good opportunity to point in the direction of such users and laugh. I’m not going to bother analyzing why the app is a broken piece of crap. There are plenty of articles out there that will tell you why that is. As expected, there are also some shameful examples of Apple’s reality distortion field suggesting it’s not so bad after all. Sigh. Fanbois. They just make all of us look bad don’t they? Ok. I have to hand it to Mr. Cook. That took some balls. Big brass ones. People are of different minds about this. There are many who see this as a grievous error. In their opinion, it would have been “smarter” to just keep shut and work on the problem. Fix the app asap and let the world forget this ever happened. Hmmm. Maybe. I don’t know what the long term ramifications to owning up to something like that is. But the one thing no one seems to be talking about just happens to be the most important: Smart or not, it was the RIGHT thing to do. It was embarrassing. It was completely false. It was WRONG. It was also enough to convince me that after using three iPods, I should go Android for my next mobile device. Being a true leader is not easy. Which is why we have so few of them. Because to be one means not just accepting the accolades of a job well done, it also involves owning up to your mistakes. Accepting your teams screw ups as your own is what separates leaders from bosses in the first place. 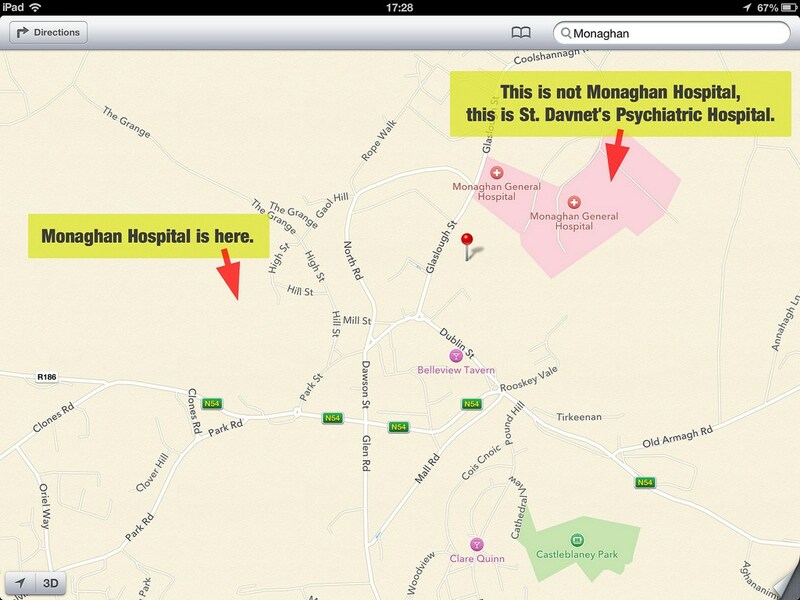 Does Cook’s letter fix Apple maps? No. Does it change the fact that Apple was crying hoarse about how awesome it was going to be? No. But admitting a mistake does not change the fact that they are working on a solution either. And not accepting a failure does not exactly polish the company’s image. While we are on the subject, let’s not forget, manning up and taking one for the team actually shifted the focus off the broken app and its false promises. If you really think about, this might have been a sound strategic decision. Time will tell. The experts can analyze all they want but the fact is, Tim Cook just made me sit up and take notice. It not often that we see true leaders. Especially in the sphere of big business. Apple still has a lot to get right if it has any hope of getting me back in its corner. But for now their CEO has reclaimed the one thing that Apple lost from me a long time ago.